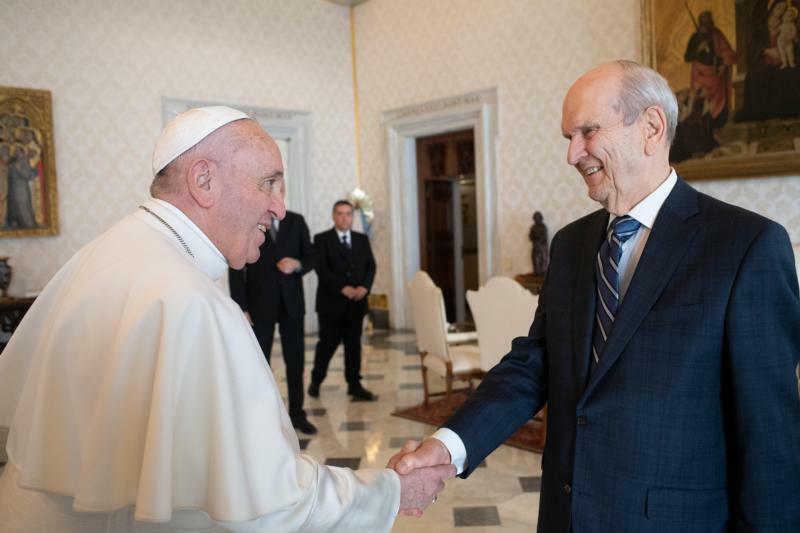 SALT LAKE CITY (CNS) — The March 3 meeting at the Vatican between Pope Francis and Russell M. Nelson, president of the Church of Jesus Christ of Latter-day Saints, drew great interest from members of both faiths and was covered extensively in the media in Utah. It began when Bishop William K. Weigand, the seventh bishop of Salt Lake City (1980 to early 1994), facilitated a partnership between LDS Charities and CRS to provide aid to Poland during the early days of Solidarity, the people’s labor movement in that country. Since that time, CRS and LDS Charities have partnered in hundreds of humanitarian and development projects across the world.